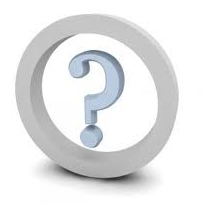 Frequently Asked Questions . . . . . . . . . .
Is the online program user-friendly? Yes, very user-friendly. Read the instructions here. Easy - once you have created an account and logged in click the Catalog tab to locate the course(s) you are interested in taking, add it to the shopping cart and check out using a credit card. You can use your discount code during the checkout process. I'm a practicing doula, what are the benefits of taking these courses? In addition to more knowledge to share with your clients, and more tools for your doula bag, you will receive an Advanced Certificate that you add to your credentials which your clients will appreciate. You will also receive 3 CEU's for DONA and ICEA recertification. What if I haven't taken a doula training yet? No problem, you will benefit from taking these courses before your training. You can get an updated	Advanced Certificate by revisiting the course at a later date and use it for your continuing education credits when re-certifying. How many times can I revisit the courses, and is there a time limit to finish? There is no time limit for finishing the course unless you need the Advanced Certificate for CEU's. You can revisit the courses after completion up to 5 times. You can always email me with any difficulties or if you need me to change the revisit default. How do I get CEU's for DONA or as a CBE? ICEA has approved the Relaxation: Back to Basics course for three (3) contact hours. DONA will accept ICEA contact hours. Once you have completed the entire course you will receive your Advanced Certificate.